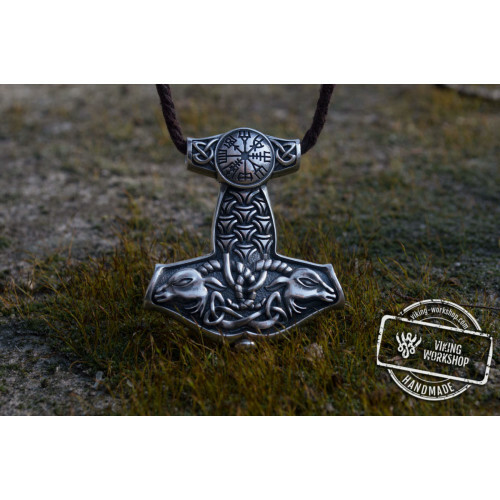 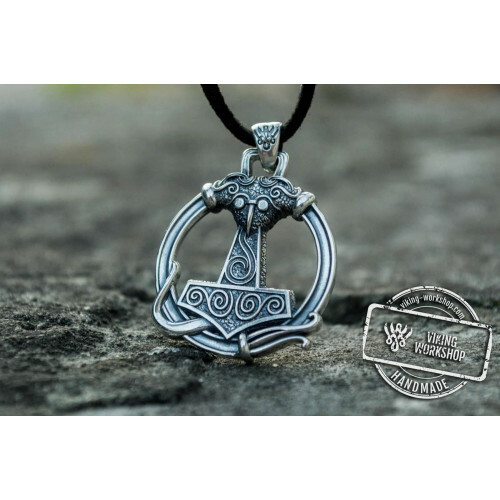 Enjoy the perfect representation of ancient Viking jewelry. 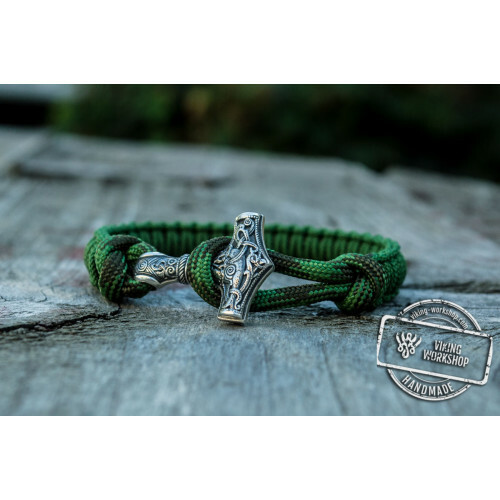 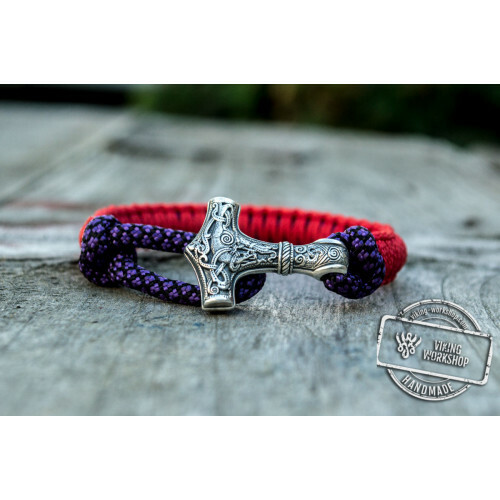 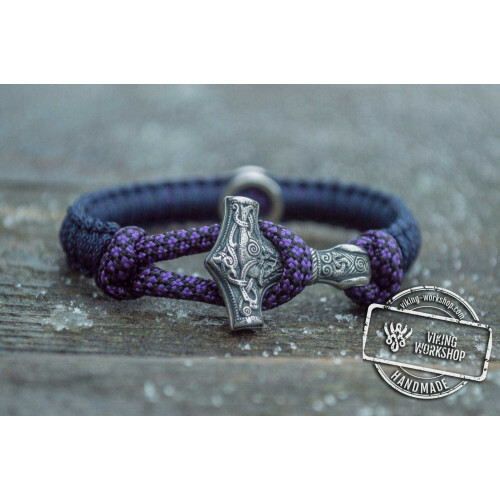 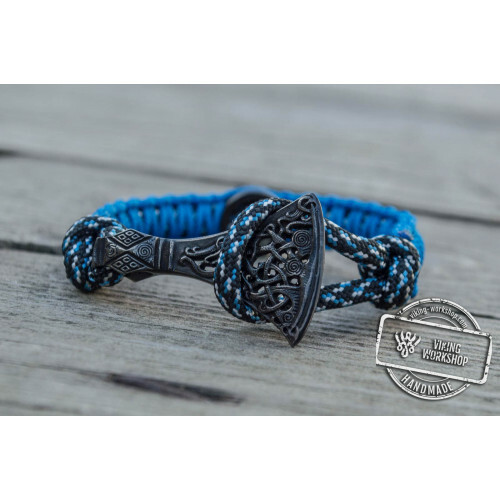 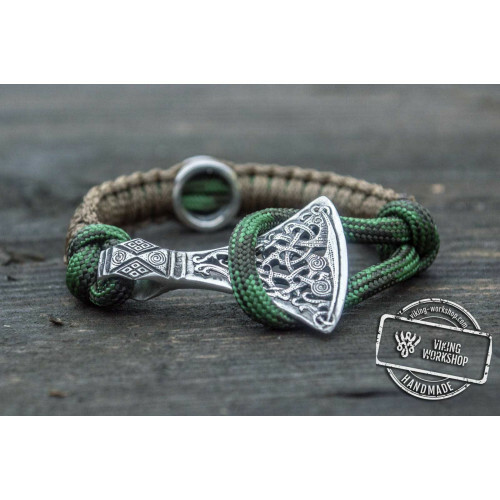 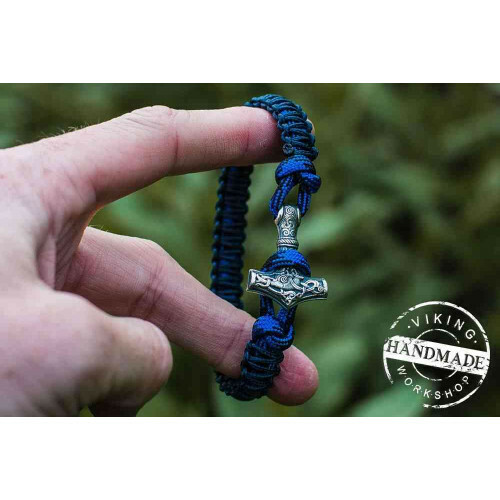 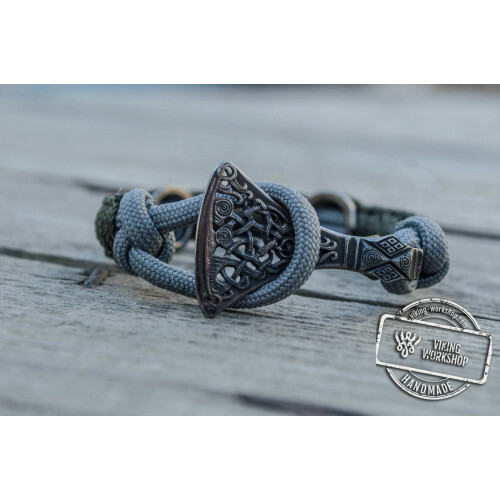 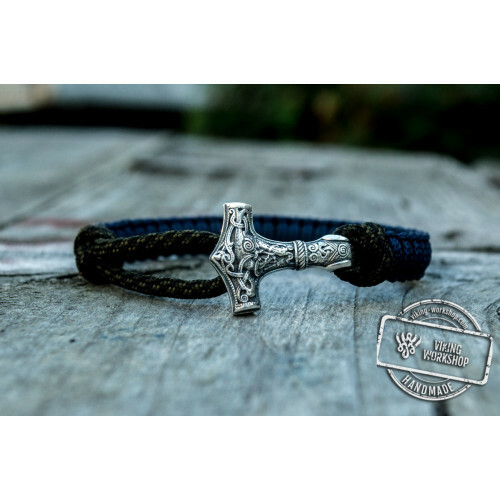 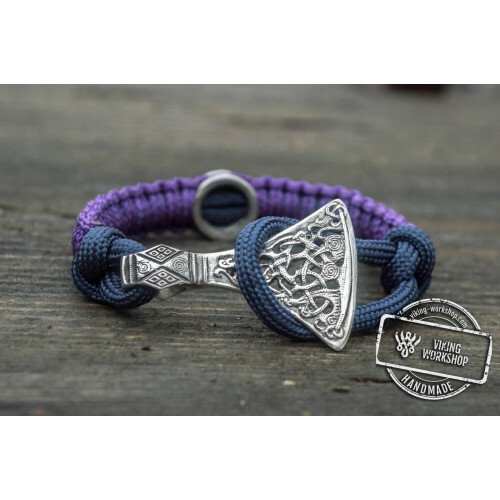 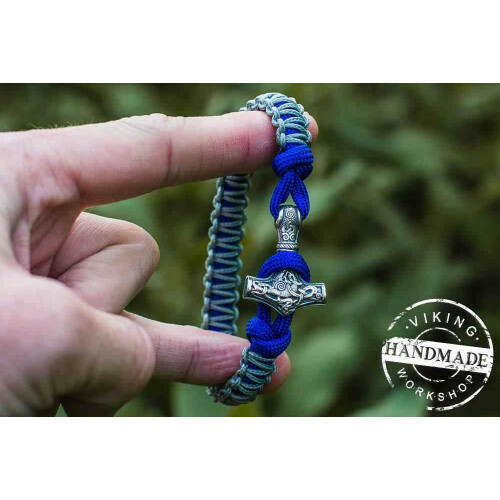 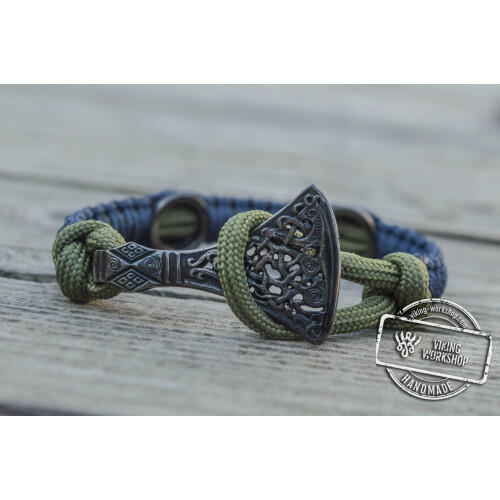 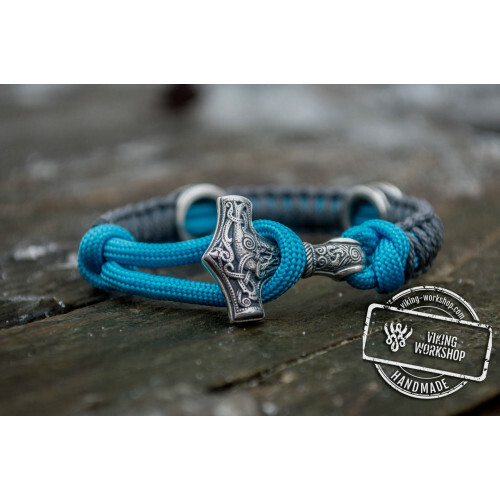 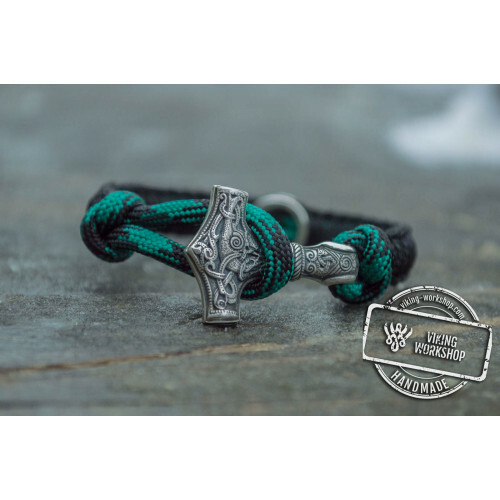 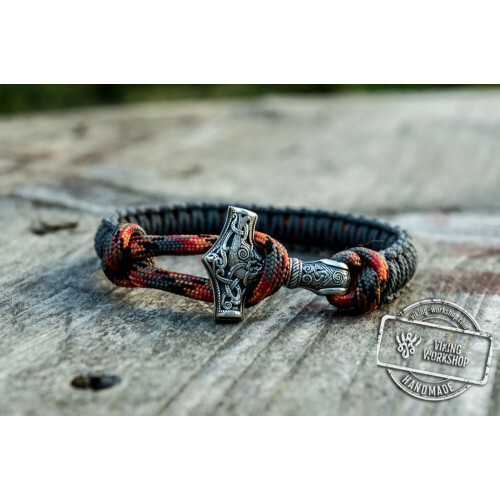 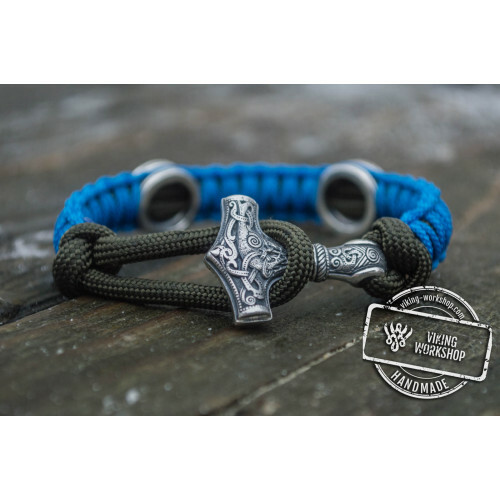 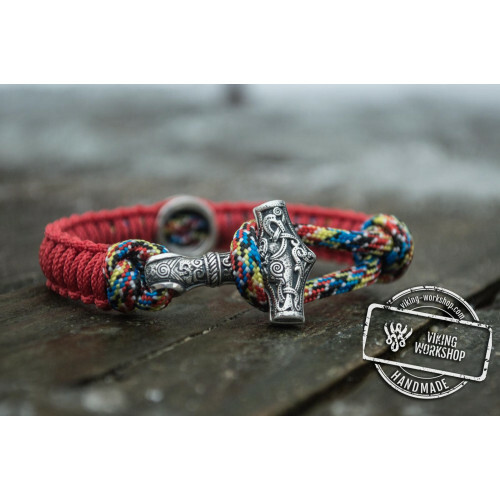 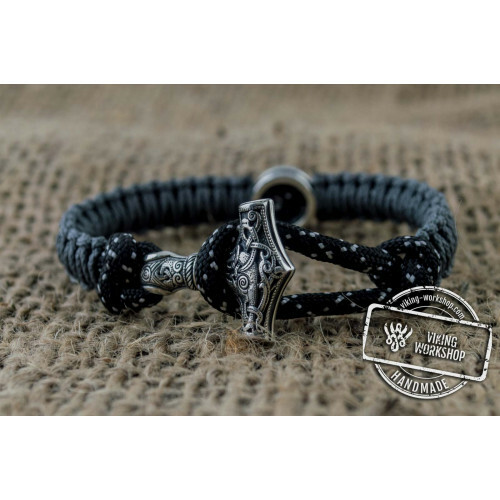 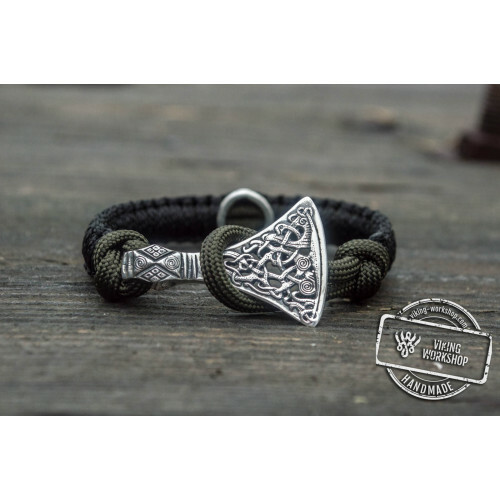 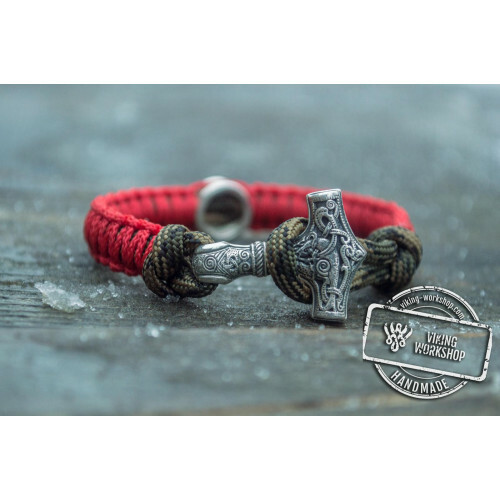 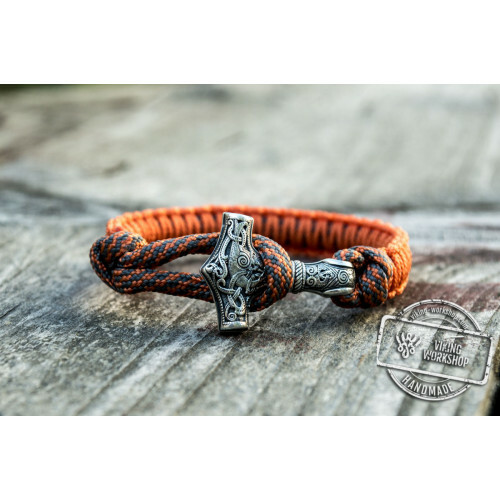 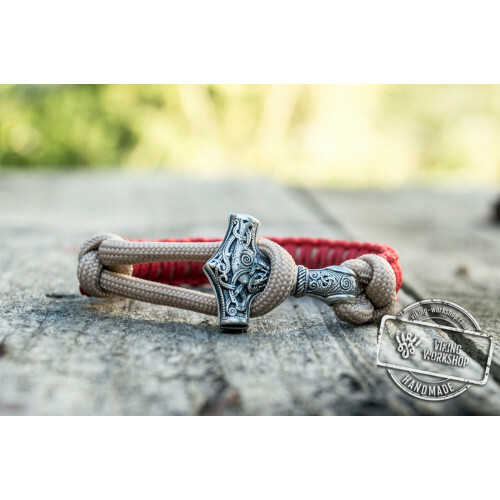 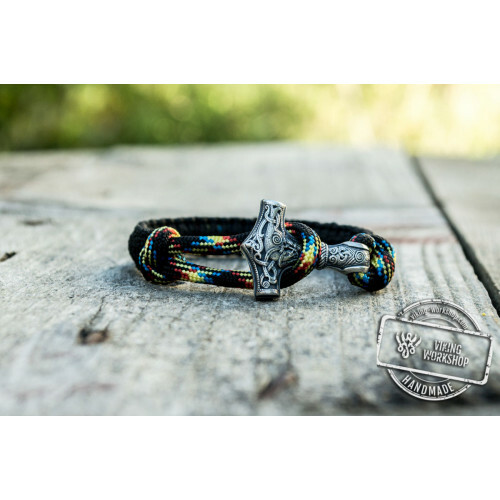 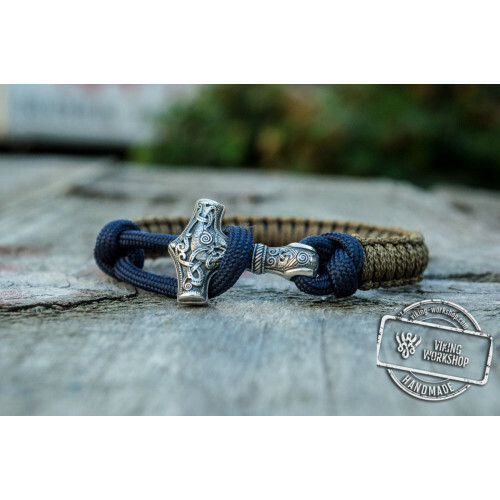 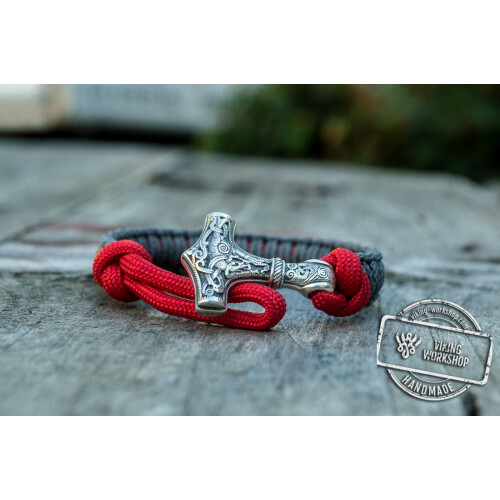 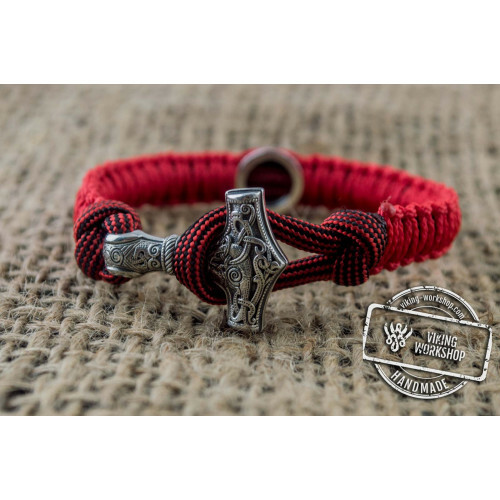 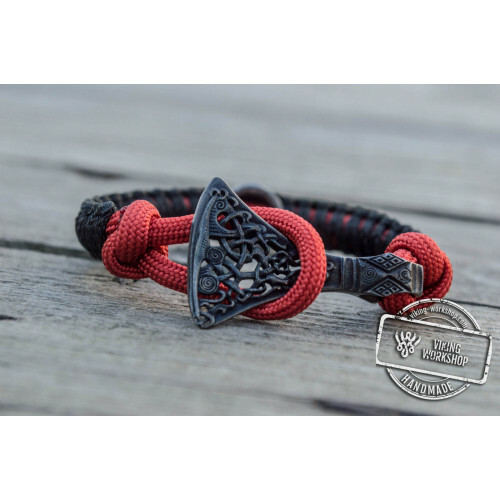 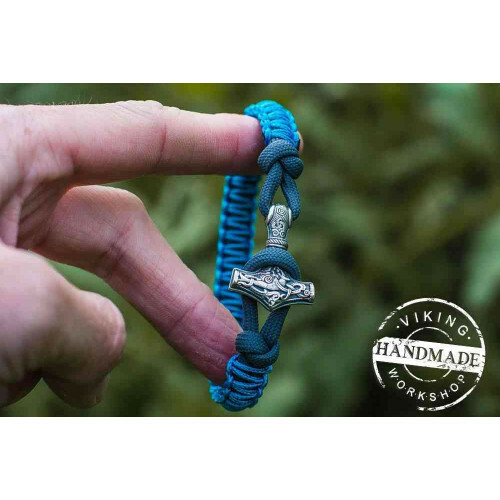 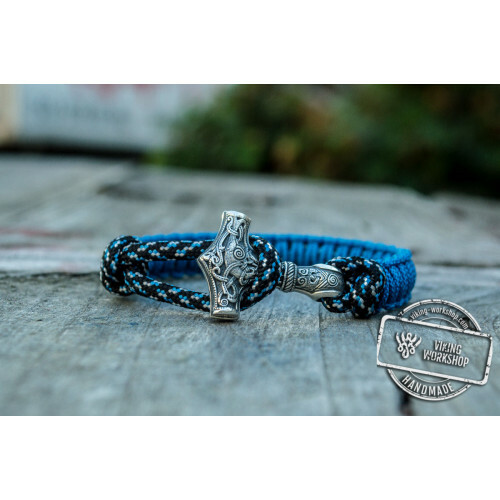 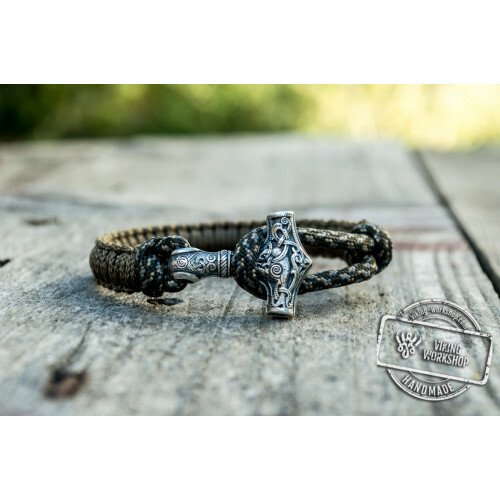 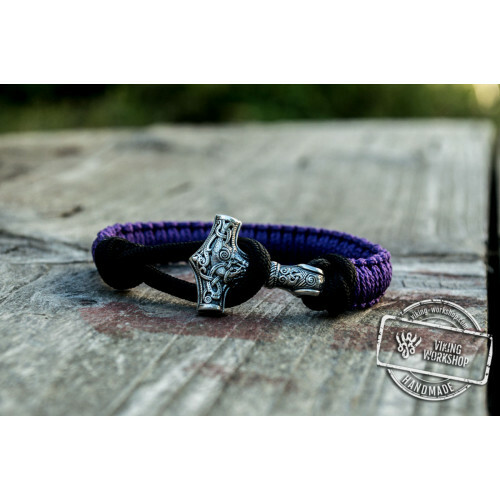 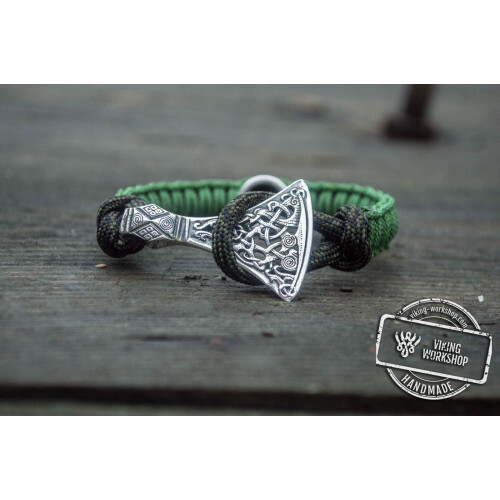 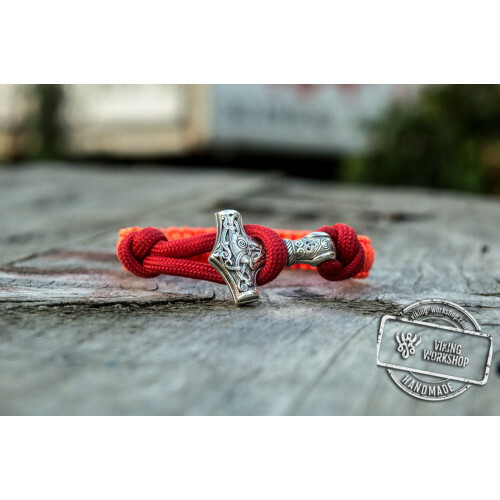 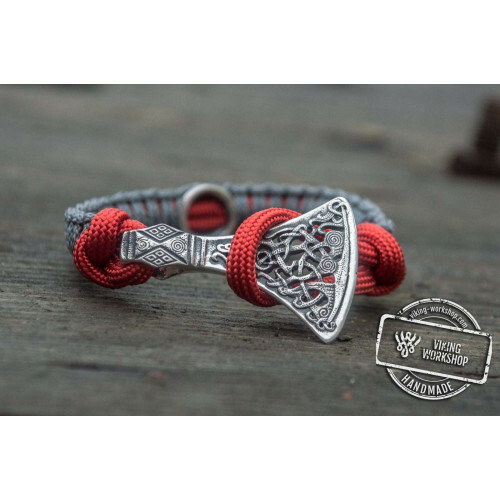 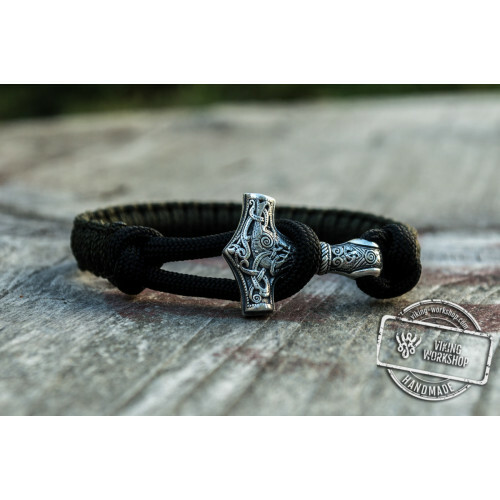 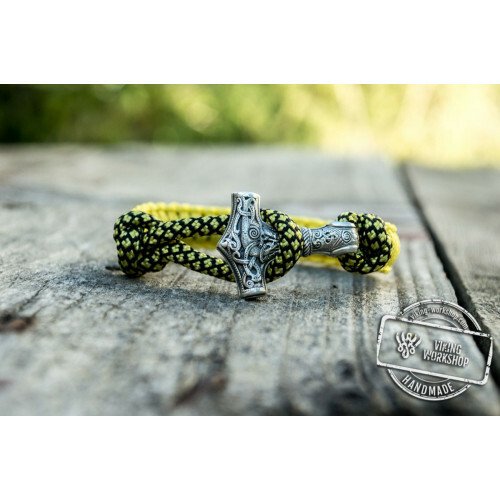 This is a modern stylized paracord bracelet locked on the Thor's Hammer. 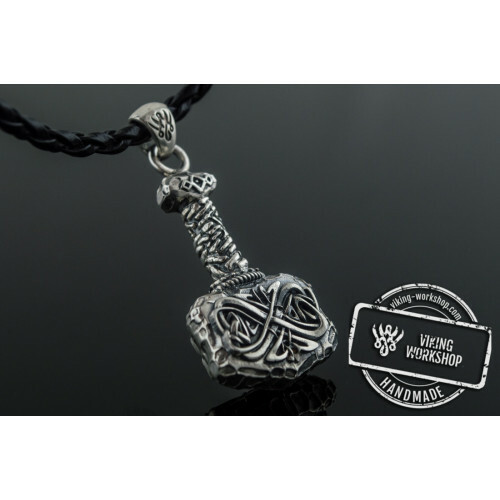 The amulet is made of bronze and silver plated. 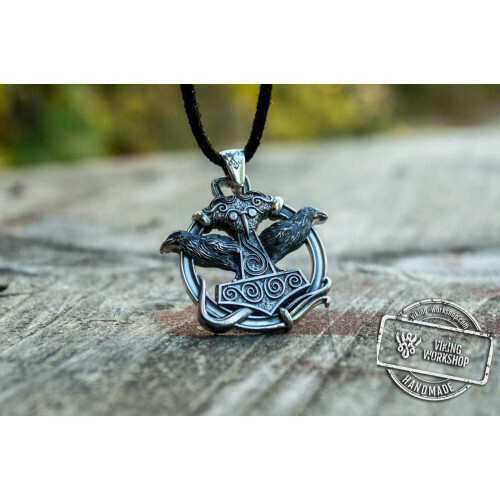 The plating protects the pendant from getting dark from water or over time. 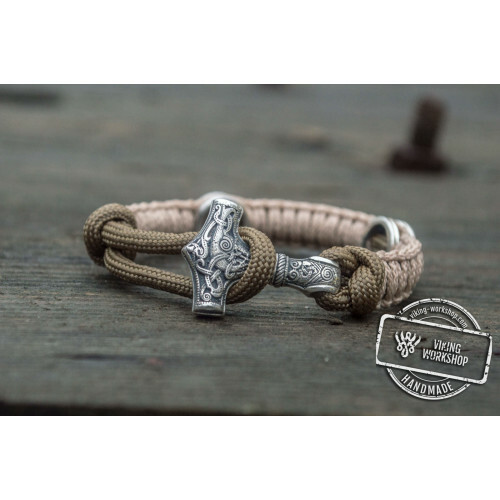 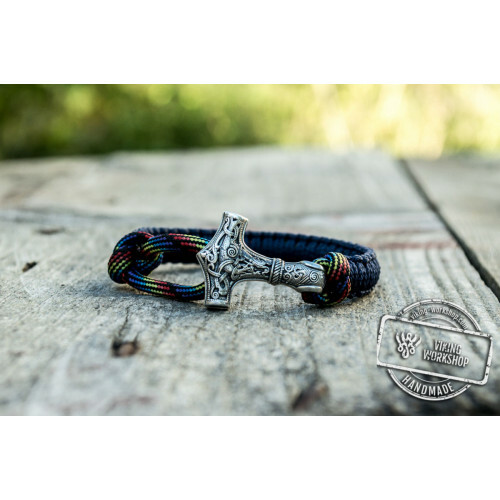 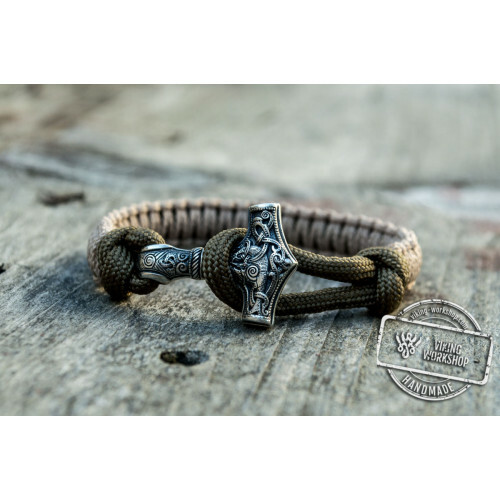 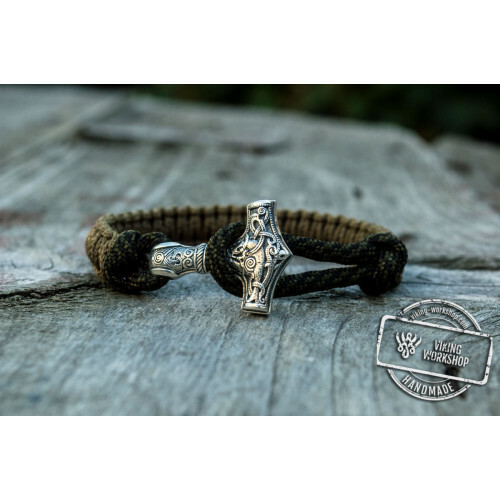 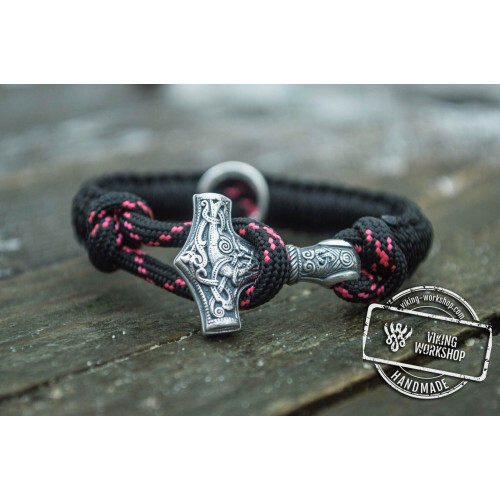 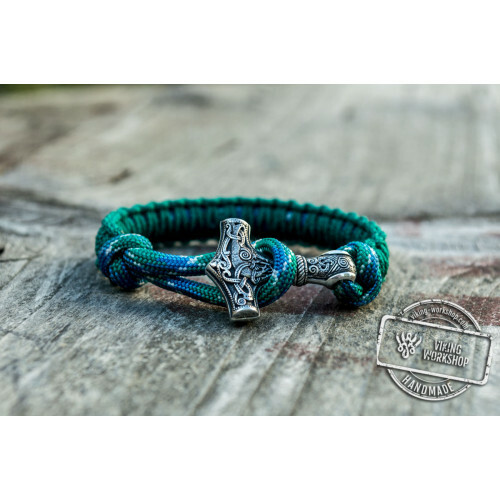 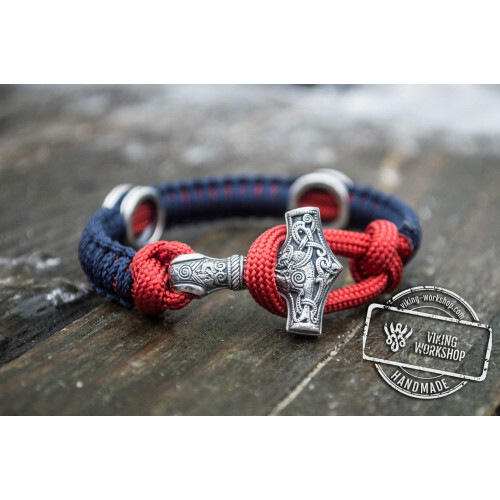 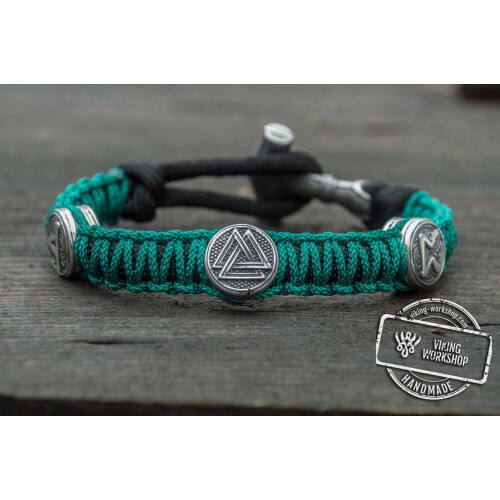 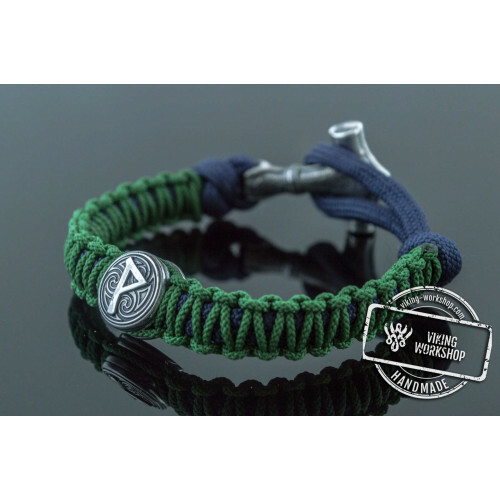 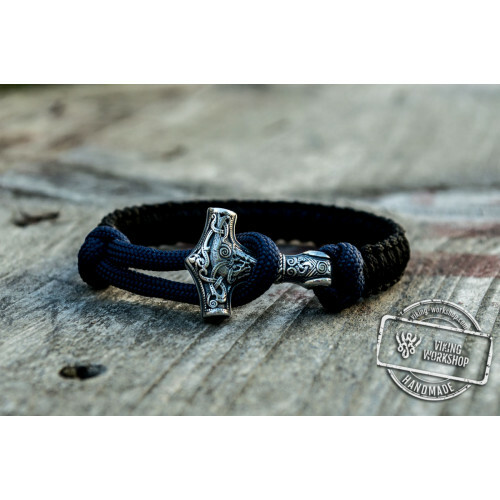 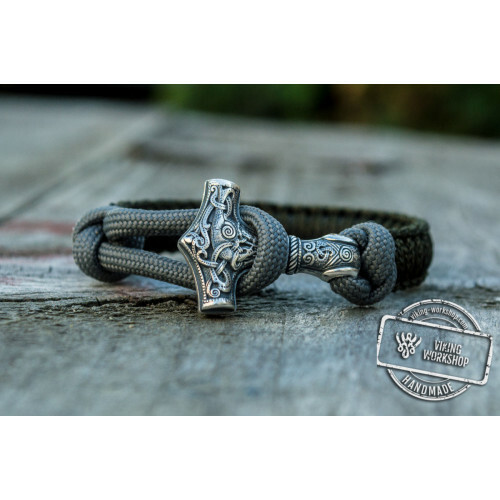 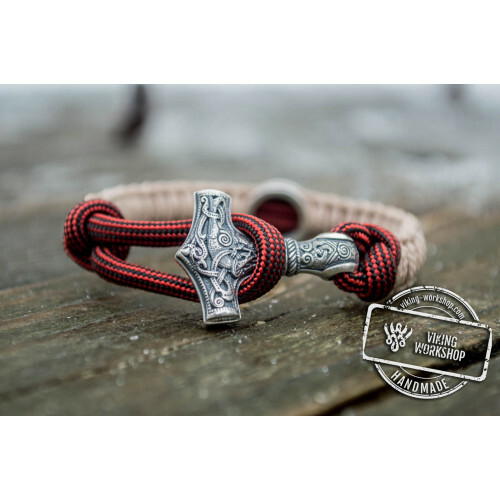 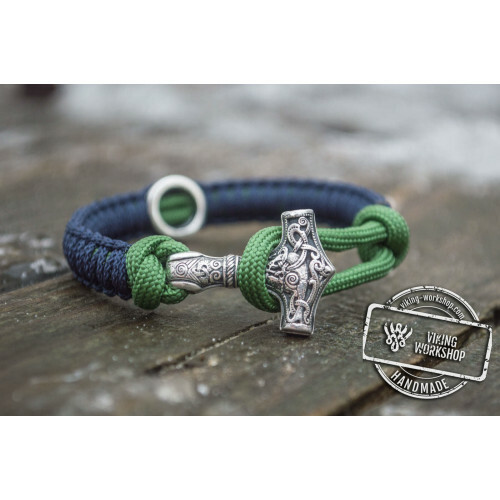 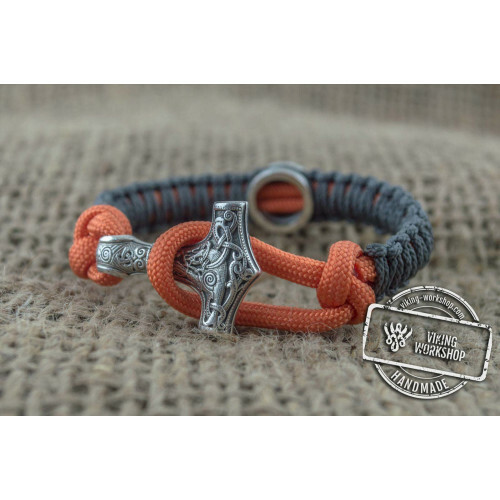 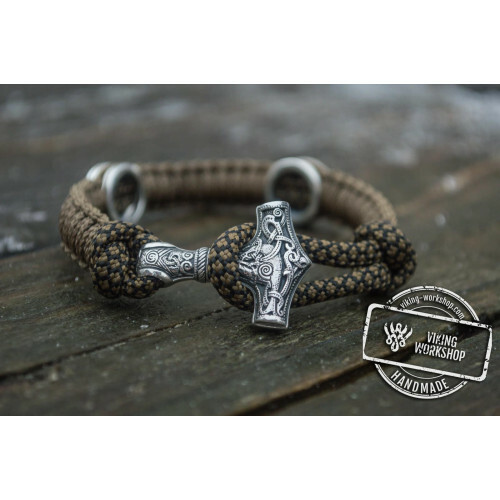 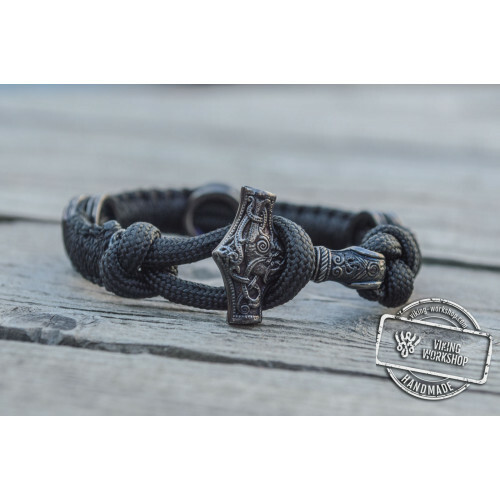 High quality paracord is used for the bracelet. 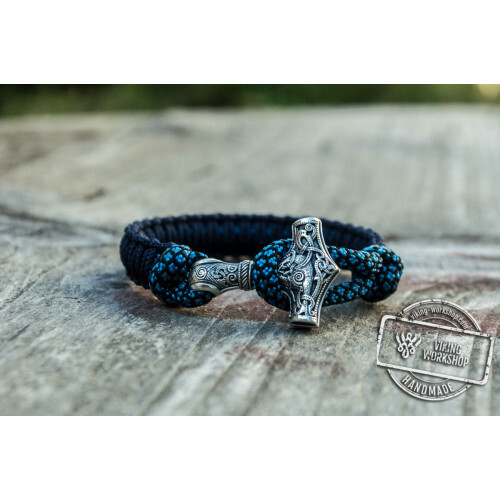 There are two shades of blue colors: sky blue and deep blue. 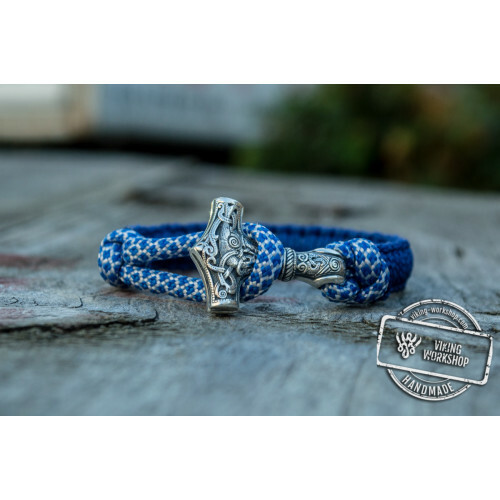 Sky blue stands for imagination, creativity and expandability while deep blue color bears another meaning presenting indigo energy, physical strength and spiritual power, persuasiveness and success. 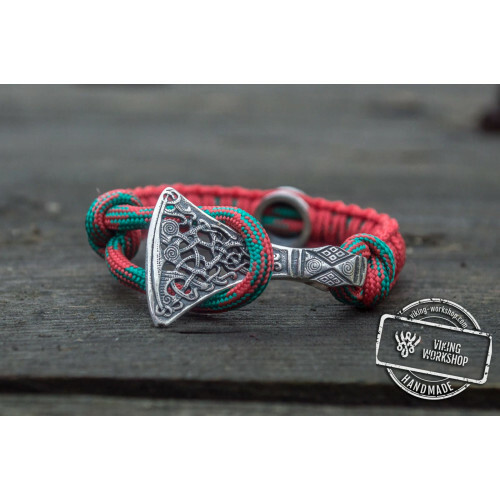 The combination of vital, energizing colors and power giving and protecting charm will be a perfect guard for you.